If an ounce of prevention is worth a pound of cure … here’s the deal you’ve been waiting for. Every professional knows that proper 4 wheel alignment is key in maintaining the handling and performance your vehicle was designed to provide. Save on Tires – With wheels out of alignment your tires wear quicker and usually unevenly considerably shortening there life span. The faster your tires wear out, the more you’ll send purchasing replacements. Those extra tires are not cheap and will come out of your pocket. There are so many more benefits to an alignment. Making sure your car drives in a straight line. 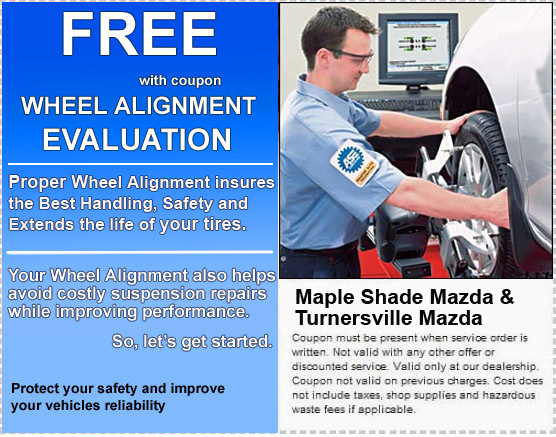 If you have recently hit a large pothole or curb, if your cars pulls to one side, if you feel strong vibrations through your steering wheel or you have to constantly correct your steering to stay straight on the road you should set an appointment to have a Complimentary 4 Wheel Computerized Alignment Evaluation- with coupon and appointment. 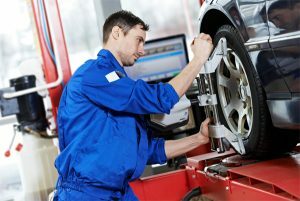 We have the most advanced 4 wheel computerized alignment racks in the business that will produce a computerized print out showing you the condition of your vehicles alignment and whether and where there is a need for adjustment.